Built for medium pressure with low flow rates. 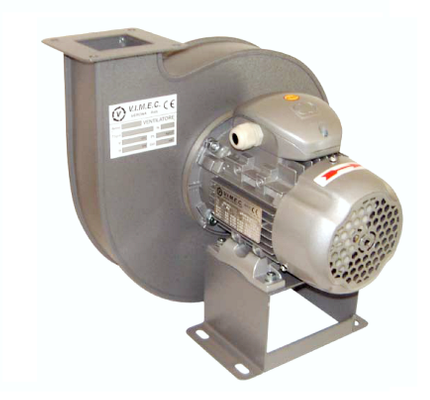 The NP Series is suitable for suction of clean or slightly dusty (non-abrasive powders). The temperature of the working fluid can be up to +80 ° C for standard. Construction features: the impeller is constructed of galvanized sheet steel with forward curved blades. Fans built with execution 5 as standard. Accessories: support for application on motor foot (if the motor is version B3/B5). Special constructions: only on order executions for applications with intake fluid temperature up to 120 ° C (Continuous servovent.) with extended motor shaft, insert vane aluminum motor cover.